Back by popular demand! 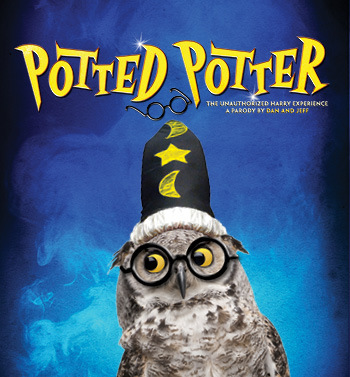 Potted Potter has been playing to sold out houses all over the world. The show takes on the ultimate challenge of condensing all seven Harry Potter books (and a real-life game of Quidditch) into seventy hilarious minutes. The world’s only Harry Potter parody has garnered rave reviews from New York to Nashville, Chicago to Mexico City and Critics’ Picks from The New York Times, New York Magazine, Time Out London, Boston Globe, Chicago Daily Herald and The New York Post! Even if you don’t know the difference between a Horcrux and a Hufflepuff, Potted Potter will make you roar with laughter. This brilliant family entertainment is perfect for ages six to Dumbledore (who is very old indeed).